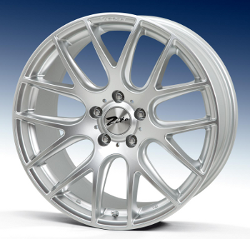 We supply many makes & styles of alloy wheels - such as 3SDM, BBS replica, BBS LM, BBS replica CH, Zito & many more. www.3sdm.co.uk , www.facebook.com/groups/371524329643136/ We can supply alloys only or complete tyre packages for all makes and models of vehicles. With one of the largest ranges of alloy wheels in Perthshire, we are sure to have the perfect ones for your vehicle. Our alloy wheel experts work with all the leading brands and will be happy to make suggestions on your wheels based on your preferences and requirements – just ask! With so much experience behind us, we are sure that we can help you find the perfect set of alloy wheels for your vehicle. Whether you have a particular style, size, colour, or brand in mind, we can help. Once you have chosen your alloy wheels, they will be fitted for you by a member of our fully trained team in order to ensure that they are mounted and secured properly. Alloy wheels provide additional strength and enhanced resistance to the elements. Our experts can source, supply, and fit any alloy wheel you desire – just tell us the make and model of your vehicle and we'll do the rest. On top of enhanced safety and performance, they also look fantastic. Available in a range of colours, alloy wheels are the perfect way to customise your vehicle according to your unique style. Call us today on 01738 248252 for more information about our alloy wheel services. We are always happy to share our advice and expertise on alloy wheels in Perthshire.